Reminiscent of many other orphan stories, this debut book nonetheless creates its own niche in the realm of allegorical novels. The downtrodden are not unlike the subjugated in any setting. And the needs they are missing are universal items we can all identify with – food, shelter, clothing, cleanliness. In Miss Carbunkle’s Home for Wayward and Misbegotten Creatures lives a young foxling known only as number 13. The creatures in the home, called groundlings, are orphans that are not quite animal, not quite human. Mean Miss Carbunkle rules with an iron fist. Rule number one is no singing. She ignores the home’s bullies, creating an unbearable environment for 13. When 13 makes a friend in a small, flightless bird creature, Trinket, he learns the address of his birthplace. Trinket dubs 13 with the name Arthur. They escape together and set out to find family. For a while, things are looking up, but then matters go from bad to worse for Arthur. He’s young, trusting, and unaware of the world at large. Eventually, he makes more friends and adopts a quest of his own. The author’s fascinating ink drawings help create the world of the groundling and the feel of a Dickens-like story. 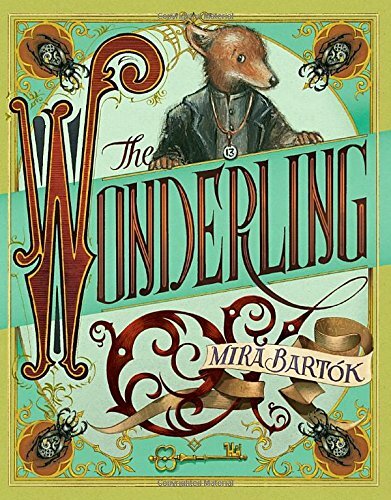 The characters are incredibly well-developed so that the reader will find they are cheering for Arthur, Trinket, and all the groundlings and their friends.